The apartment at Father Bach Haven Home has given Larry Hankins time to put his life back together. Renee Shelton knows what it's like to be cold, lonely and out of options. She rocks back and forth ever so slightly as she sits at the kitchen table in her one-bedroom apartment at Father Bach Haven Home, her face bathed in the soft glow of an antique lamp. Here amid her ceramic cats, family photos, large-eyed dolls and carousel-horse tchotchkes, she can finally relax. "Three years ago I was in such hardship," says Shelton, 53, who moved to Spokane from Cheney to live with her daughter and help with the grandkids and the bills. Then her daughter got into Section 8 housing and there was no room for Shelton. She went to stay at a motel, where she was spending $698 of her $733 Social Security disability check each month to rent a dank, tiny, bedbug-infested room. "I moved in with just a suitcase on my back. Now all this is mine," says Shelton, gesturing around the tidy one-bedroom apartment. Traditionally, homeless people were required to deal with their addictions and other issues before social services would help them transition into long-term housing. Housing First programs take the opposite approach, placing people in stable housing, then giving them the tools to tackle their other issues, should they so choose. The model is catching on from Seattle to Salt Lake City, and it appears to work. Utah adopted the Housing First approach in 2005, and by 2014 the homeless population had shrunk by nearly 75 percent. "Just by stabilizing a person's housing situation, we're finding that the impacts you can have on a person's life are significant," says city spokesman Brian Coddington. There are 51 apartments at Father Bach Haven. Residents pay 30 percent of their income in rent; if they have no income they pay zero. The project was financed through tax credits and a grant from the Washington State Housing Finance Commission. Volunteers of America, Catholic Charities and the City of Spokane aim to expand on the program's early success. Last fall, Catholic Charities and the VOA opened the 21-unit Collins Apartments, and they'll break ground on another 100-unit Housing First project later this month. It should open by December 2016. The city is contributing $1.2 million to the new building following the success of a pilot program that studied six units of housing in 2014, says Coddington. For the city, Housing First is as much about smart financial planning as it is about charity. Over time, the model is saving money. Homelessness is expensive. Shelters, emergency room visits, trips to jail and 911 calls add up. "These units housed individuals who had a history of chronic homelessness and high reliance on emergency services," says Coddington. "The results were impressive, showing an average savings in medical and emergency services of over $5,200 per month for each individual housed. By supporting additional low-barrier housing units in our community, we are not just saving money, we are supporting a higher quality of life for Spokane's most vulnerable citizens." With the help of the VOA and Catholic Charities, the city and county hope to move every chronically homeless person into long-term housing by 2019. "The goal is to literally house all the homeless people in Spokane County. They'll build one a year until there's enough permanent housing to house everyone," says Catholic Charities Social Services Coordinator Connie Birdtail. This isn't Spokane's first stab at an ambitious plan to end homelessness. In 2005, county and city officials announced the Road Home, a 10-year plan to end homelessness. In 2009 the plan was revised, rolling forward the end date to 2019. With 1,030 homeless people counted in Spokane County as of Jan. 29, Spokane missed the revised 2015 goal — reducing the homeless number below 800 — by a long shot, but figures are trending in the right direction. Still, the transition into long-term, supportive housing can be difficult for the chronically homeless. One Father Bach Haven resident had been on the streets for 16 years. 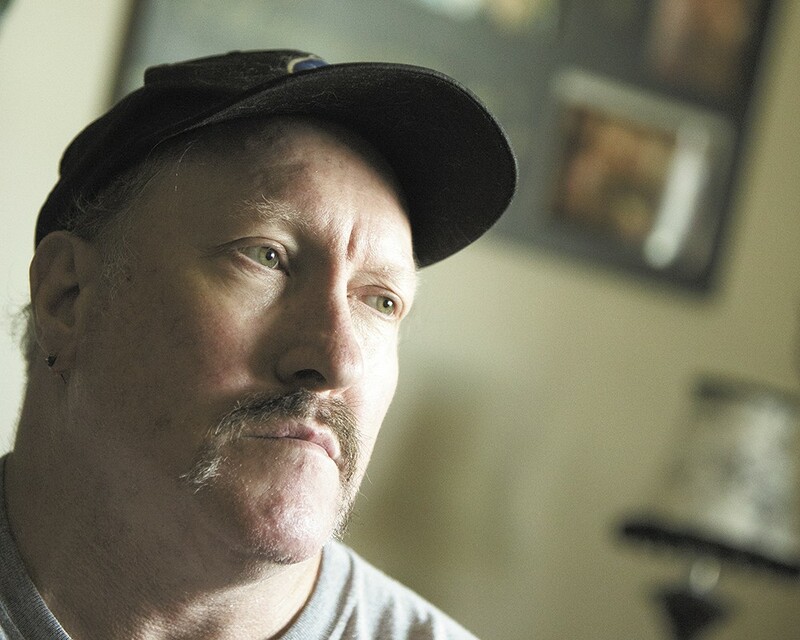 "When they've been homeless less than a year, they still have hope," says Birdtail. "After five, six, seven years, though, it's a whole different ball of wax." Nonetheless, most residents have embraced the opportunity; 45 percent of Father Bach Haven tenants have regained their footing and moved on. Only three tenants have returned to homelessness, all due to drug addiction and an aversion to the highly supervised community environment. "Illegal drugs are never allowed anywhere in Spokane," says Catholic Charities Associate Director for Seniors & Housing Monique Kolonko. "But we don't ask. The bottom line of Housing First is that people don't have to be clean or sober to get in." Renee Shelton has reconnected with her family since moving into her own apartment. Larry Hankins' Father Bach Haven apartment is decorated to the nines. Red, green and white taper candles extend from brass candlesticks. Potted coleus, spider plant and ivy crowd the window ledge and the kitchen countertop. "I can't stand walls that have nothin' on them," says Hankins, gesturing to the framed photos of his many nieces hanging on the walls, punctuated by the occasional plaque reading "passion" or "home." Home means a lot to Hankins, mostly because he knows what it is not to have one. Hankins was homeless for a year and a half. After refinancing his home so he could remodel his kitchen, his house payment went from $500 to $1,200 per month, and before he knew it he was underwater. He lost the house and ended up on the streets. "It was just kind of like a domino effect," says Hankins. "God only knows where I would be if it weren't for this place." Hankins remembers being elated when he received the keys to his new apartment. "I never in my wildest dreams would have thought that would ever happen," Hankins says. Still, he hopes he won't be here in five years. Apartment living isn't really his style, and he misses having a yard and gardens. Renee Shelton also hopes to move on one day. For now, though, she is relieved to have the luxury of not spending each day worrying where she will sleep at night. Could paying for prisoners to go to college behind bars save society money?